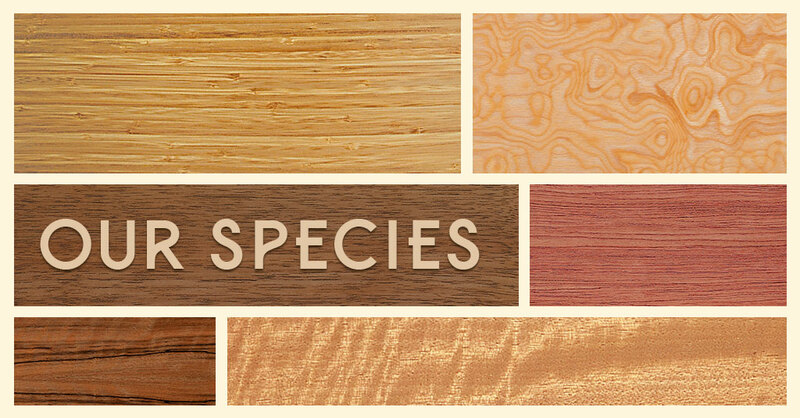 Wood Species We Offer - Jacaranda, Inc. When it comes to using natural wood building products, there are numerous species from which you can choose. Each type of wood has its own unique look and characteristics that can help you create the settings you want. Whether you are looking for a common hardwood or you’re craving something more exotic or even rare, Jacaranda, Inc., has you covered. We offer more than 100 different species and cuts from oak and maple to zebrawood, teak and rosewood for our natural veneer products to add beauty, warmth and character to your environment. SanFoot is a real wood wallcovering that uses architectural grade faces layered for strength and durability. It can be used in virtually any horizontal or vertical application. SanFoot is a five-ply veneer wallcovering that can be used for both commercial and residential purposes. FineTec uses natural wood crafted from readily available species and reconstructs it to simulate the look of rare woods, patterns burls and original designs. TransTec is a revolutionary wood veneer that is cut incredibly thin, allowing light to pass through, to create glowing panels, backlit walls and other eye-catching designs. Our products are environmentally safe, VOC compliant and made without added formaldehyde. Each architectural grade AA veneer sheet is prefinished and class A fire-rated. Not only does Jacaranda offer an extensive selection of domestic species but also a wide range of exotic and recon wood species. Recon veneer is made with a special process that enables us to provide you with rare and exotic species without negatively affecting the populations of these species. We begin with plentiful and readily available FSC species and carefully cut it into thin layers. This wood is dyed, pressed and formed to replicate your chosen species and patterns. We then further process and cut the veneer into the desired thickness for our wallcoverings and wood products. Our wood veneer costs about half as much as architectural wood panels while offering incredible versatility. The wood is cut incredibly thin and applied to special backings that allow it to be applied much like any vinyl wallcovering. Jacaranda veneers can even be used on curved walls and columns without compromising the integrity of the design or the materials. For more than four decades, Jacaranda has been creating natural wood products. Today, our clients can choose from numerous species, veneers and panels for cabinetry, millwork, walls and more. We have developed techniques to get 300 percent more veneer out of each log and are committed to using sustainable methods to minimize the effects on the environment. As leaders in the wood veneer industry, we focus on how we can best meet our clients’ needs while protecting forests for future generations. Contact us today to find out more about our extensive selection of species and natural wood wallcoverings or to schedule a consultation.